William Voegeli is a Senior Fellow of the Claremont Institute, a senior editor of the Claremont Review of Books,and author of: Never Enough: America's Limitless Welfare State (Encounter Books); and The Pity Party: A Mean-Spirited Diatribe Against Liberal Compassion (Broadside Books). A visiting scholar at Claremont McKenna College's Henry Salvatori Center, his work has appeared in the City Journal, Commentary, the Los Angeles Times, National Review, The Weekly Standard, and other publications. 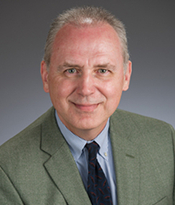 Mr. Voegeli received his Ph.D. in political science from Loyola University in Chicago and was a program officer for the John M. Olin Foundation from 1988 to 2003.